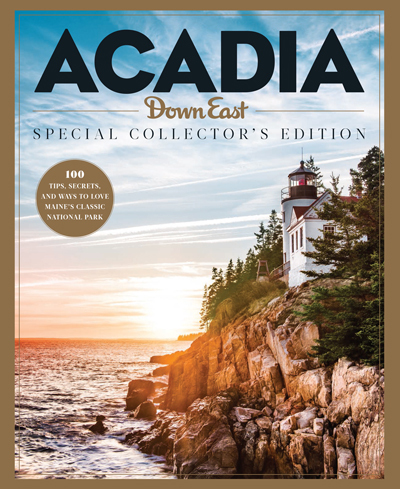 [I]n 1883, rusticators were hiking Cadillac Mountain — then called Green Mountain — in record numbers. So an enterprising local named Francis H. Clergue built a narrow-gauge cog railway to the top and charged visitors for a lift. 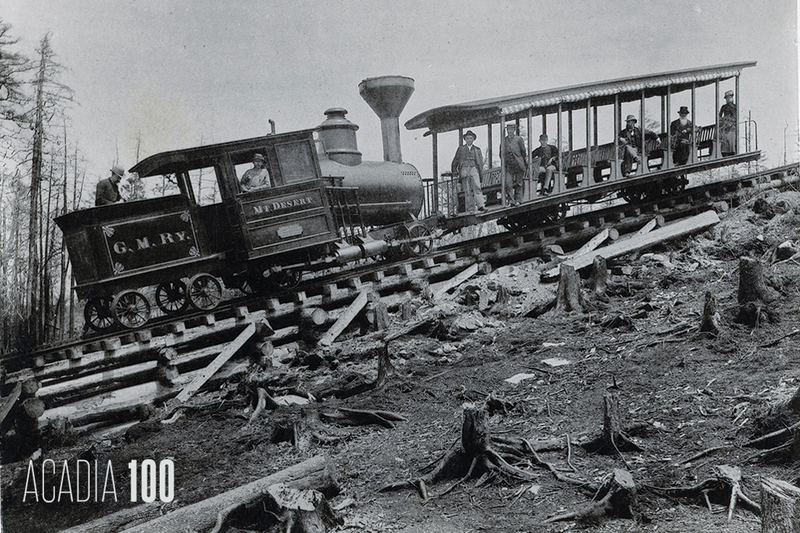 The two-car train took a half hour to travel from Eagle Lake to the summit along a track just longer than a mile, gaining more than 1,200 feet. But business sagged as the novelty wore off, and five years later, a new carriage road stole traffic away (even though railway employees once tried to destroy it with dynamite). Today, stray metal spikes on Cadillac’s western face mark the former railway’s path. 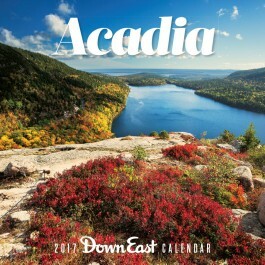 Get our 2017 Acadia Wall Calendar, a great take-home souvenir for travelers venturing to Acadia this summer and those who just appreciate the beauty of the region.